Roller skates, Afros, and bell-bottoms will never go out of style! This Disco inspired flyer template features energetic colors that flash to the beat of the music. You can party all night long with fully customizable flyers that allow you to upload your own images or business logos. Throw a Disco Party and Get Down Tonight! 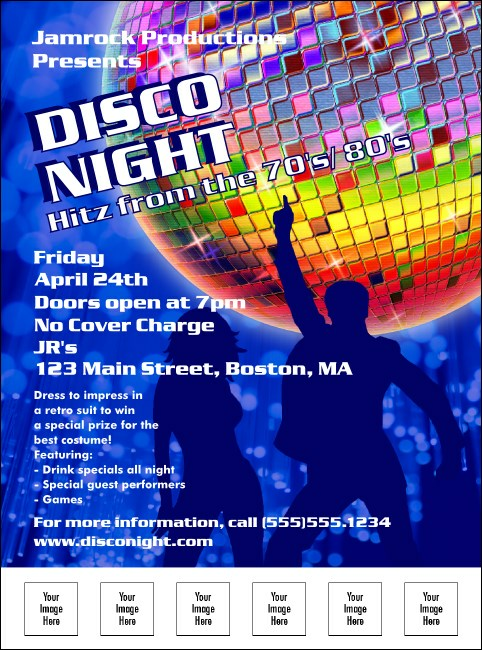 Part of our Event Kits , this Disco Flyer matches perfectly with other Disco promotional materials from TicketPrinting.com!